Throughout history, the ongoing technological progress has caused the economy to change in many aspects; furthermore, at times it triggered the dawn of a new era. In the 1980s, this happened for the last time and the digital economy has emerged over the last decades. Since then, the significance of approaches to technology enhanced learning (TEL) has increased rapidly. However, the relations between the digital economy and technology enhanced learning are hardly investigated. Therefore this study points out the known relations between technology enhanced learning and the digital economy by reviewing 1089 publications. Thereby one could recognize that the relations between the regularities of the digital economy and the field of technology enhanced learning have not been thoroughly researched yet. This period of time, which started in the 1990s with the growing usage of the World Wide Web, is called the digital (network) economy. The digital economy is based on drivers such as network effects, critical mass of users, standardization, interoperability and globalization, and is enabled by the innovation of technology (see Shapiro & Varian, 1999; Stähler, 2002; Tapscott, 1996). Ebner, Schön and Nagler (2011) characterize the term online learning as a description for a learning situation in which a computer and the Internet is used. Therefore the term online learning is only a minor term of technology enhanced learning (TEL). This term includes all kind of learning situation in which technology is used (Dror, 2008). Showing a movie during the lesson or even calling a schoolmate for help with the homework could also be characterized as TEL (Ebner, Schön, & Nagler, 2011) as could learning whereby devices like smart phones or tablets are used in the learning process, categorized as mobile learning (Ally, 2009). Another approach to the field of technology enhanced learning, which especially supports cooperative learning, are learning situations in which the technologies of Web 2.0 are used (Ebner, 2007). If since the era of a digital economy had begun, the relevance of technology enhanced learning has increased, which connections between technology enhanced learning and the digital economy and world do currently exist? By answering this question, a better understanding how changes in the digital economy might affect the area of technology enhanced learning should be possible. 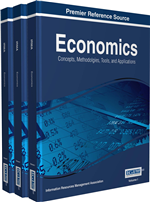 The main work of this study is an extensive search in two major bibliographic databases for the search terms “digital economy”, “digital economics”, “internet economy”, “internet economics”, “net economy”, “net economics”, “new economy”, “new economics”, “digital world” and its German analogues, in documents published between January 2000 and August 2013. This broad search strategy is necessary to ensure that important literature, which is connected to the research question of this publication, is not ignored. The two databases used are SCOPUS and Web of Knowledge. The initial search lists 3353 hits in SCOPUS and 4085 hits in Web of Knowledge. Out of these, for the literature review only downloadable full texts in English or German are analysed. In this way, in total 1089 articles are part of this study. The analysis purpose is to find publications which mention connections between technology enhanced learning and the digital economy or world. In order to find these connections in the investigated documents in a first step a definition of the term digital economy and the regularities in this world is necessary. This enabled the authors to understand the relevant coherences.